Gambit was arguably the headline addition to Destiny 2 back when the Forsaken expansion launched in September 2018, and it was well worth the wait. 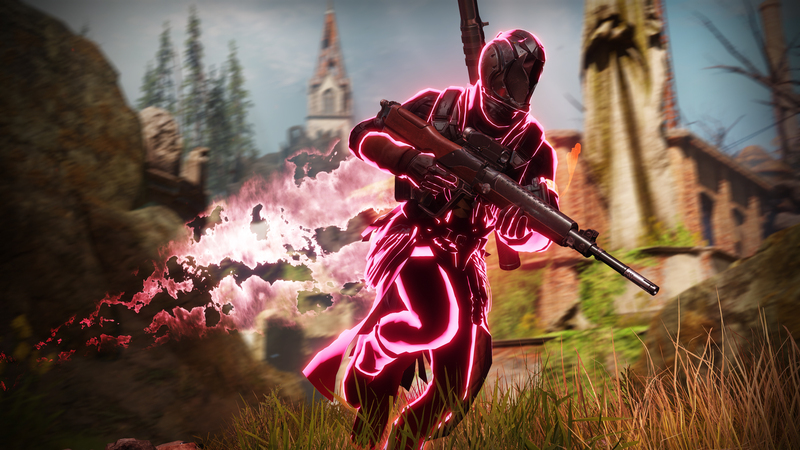 In this Destiny 2 Gambit guide, we'll be providing you with all the essential Destiny 2 Gambit tips that you need to know for the mode, so you give your team the best chance of winning. If you instead need any additional information at all about the brand new Destiny 2 DLC, you'll want to head over to our full Destiny 2 Forsaken DLC guide. It's on this page that you can find all the information you need about how to get access to the new content, as well as how and when you can access the forthcoming Last Wish Raid. The premise of Destiny 2's Gambit mode sounds simple: kill enemies to earn Motes, and return to the bank to cash in your Motes. The first team to 75 banked Motes summons a special boss, and the first team to defeat their summoned boss wins the round. But, there are variables. Enemies drop motes of light whenever they're killed, and you have to collect these and bag them in the central deposit station, which looks like a large lab chamber located in the middle of the map. 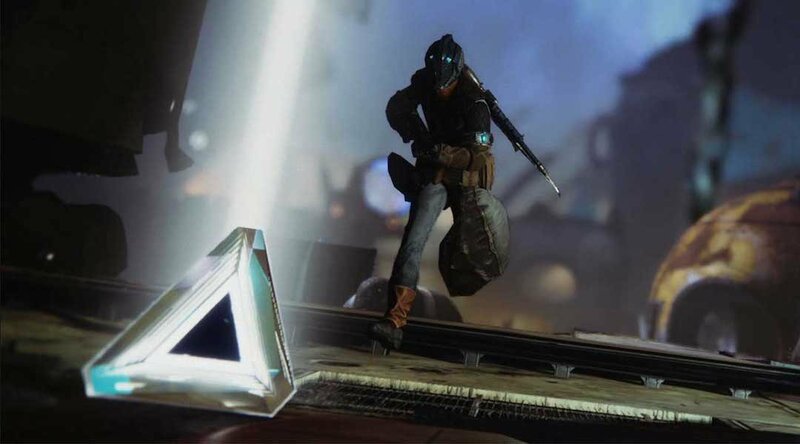 The first team to bank 75 motes in total from enemies slain will be presented with the opportunity to fight their end boss, which is the road to winning Gambit. Basically, speed dominates this game. 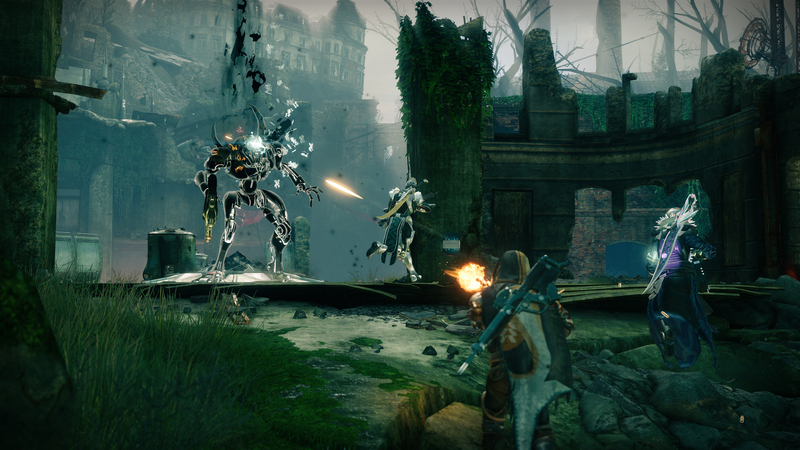 Occasionally, a member of the opposing team will be able to invade your game of Gambit, and vice versa. There'll always be a portal within the area, and whenever it glows, a member of your team can step into it and be transported to the opposing team's arena. Your job while in the other team's arena is to wreak havoc as quickly as possible. Enemy NPCs won't attack you here, so this is your chance to take down as many opposing players as possible. We mentioned previously that speed dominates Gambit, so you're going to need a fast firing weapon. Equip at least one heavy area of effect weapon, like a grenade launcher or RPG, that'll help you clear out crowds quicker. Don't save your Super Ability to the final boss. It's fine to use your Super to either clear out waves of enemies, or to defeat opposing players before they can kill any members of your team. If you really want to be as quick as possible in Gambit, you should have your team divide into teams of two players, with each of you taking it in turns to run back and bank motes. Remember that if you die, you'll immediately lose all the motes that you're carrying. As a rule, we'd recommend banking motes whenever you've got around 10 stashed up. Keep in mind the final boss is always going to be the toughest enemy you can encounter throughout Gambit. Therefore, you'll always want to save at least a few shots of your Power weapon for the final boss, as well as making sure your Super Ability is at least partially charged towards the end of the round, if not fully charged by the time the boss appears. This might be the end of our Destiny 2 guide for the new Gambit mode, but we'll be updating it whenever we uncover any brand new details about the mode, like loot drop rates. For now though, you can continue ahead to our Destiny 2 Forsaken weapons guide, where we'll be compiling all the weapons that we've encountered so far in our time with the DLC.